Making someone smile is important specially if this someone happens to be immediate family and close friends. However my family is so diverse that making everyone happy in one go is difficult. But for me celebration time is all about having the entire family over to my place and let the fun times overflow. In an attempt to bring a smile to the face of my loved ones I follow the adage that the way to a persons heart is through his or her stomach. People may forget anything that you do for them however they seldom forget lip smacking tasty and mouth watering food/meal. Tasty food is both the key to a persons heart and a challenge to make for the person who is preparing the food. For instance when the elders sit and talk the snack that they prefer is spicy and garlic flavored snacks. So the snack to win everyone’s heart is Chilli Garlic Potato Bites. Did I just say “So that is the snack that makes everyone happy” its true if I don't count the kids. 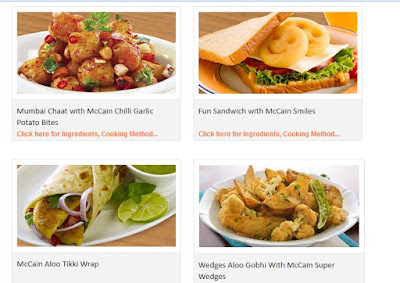 For the kids the snack to win their hearts is Aloo ki tikki. Every time when my aunt comes over I have to make her favorite Super Wedges. With this menu the snacks seem sorted out but wait…. The same menu every time? Not for my guests as Variety is the spice of life and the element of surprise keeps the excitement intact for every get together. Initially the idea that I am willing to make a snack to suit every one in the family did get me the tag of the favorite /best host but at the same time when the bellies are full with the food The biggest question is, Is this food healthy? 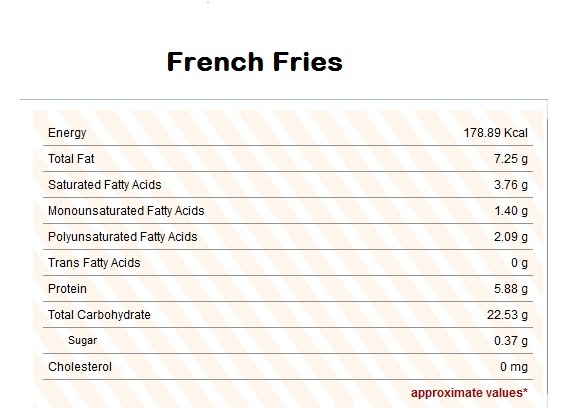 What oil did you use to fry the snacks? There are plenty of people out there who would be thinking that like a dutiful host I would be spending my entire day in the kitchen cooking one snack after the other. To this my friends I must share another secret that I spend no more then three minutes on any particular snack. I can put a snack on the table in a few minutes. At the risk of sounding boastful I must admit that the longest I have taken to prepare these snacks is 3 minutes (This is the time for deep frying and for baking it is a 12 -15 minutes) and those who have tasted my snacks would vouch for the fact that my snacks taste just yummy. 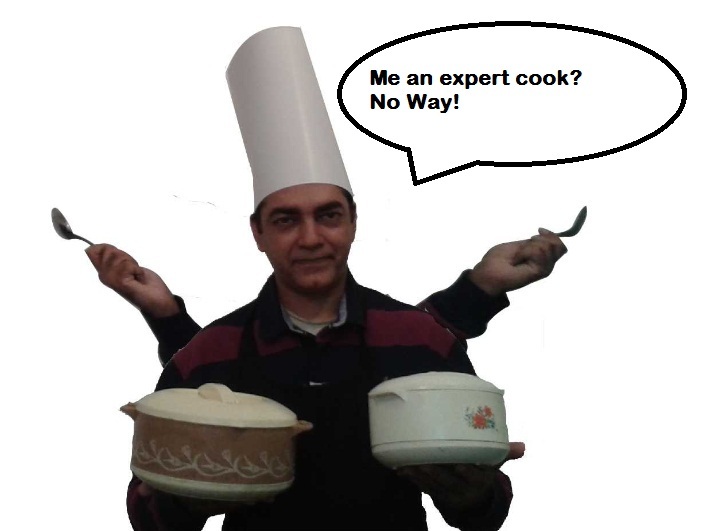 You might say that I might be an expert cook or a chef who has expertise in cooking. I must confess that neither am I an expert cook or a chef but a regular office going guy who just wants to keep his family and guests healthy,happy and smiling. So when I go to cook a snack I just take out a pack of McCain and the best part is that there is no need to thaw the ingredients. I can just deep fry the contents of the pack and in about 3 minutes the snack is in a plate ready to be devoured by my guests. In case I decide to bake my snack the process gets done in 12-15 minutes .Irrespective of the way I prepare the snack its taste turns out to be equally fabulous. 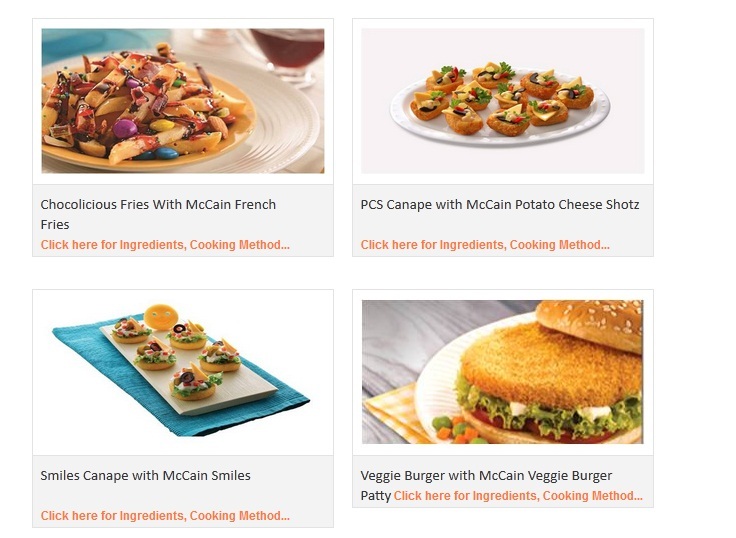 What reduces the freezer to table time for the snack is the fact that each McCain snack is Pre-cooked in Pure Vegetable Oil . 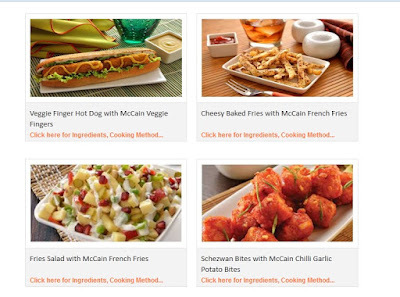 potatoes as potatoes are eaten all around the world and it is one of the most widely used food ingredient so I opt for a pack of McCain snacks that are made with potatoes. I am still the person who cannot differentiate much between a screwdriver and a ladle. Yet my snacks turn out just right every time. Or better still why don't you pick up a pack of McCain yourself and indulge in some healthy and quick snack making for yourself and for those you care about and get the credit of preparing a lip smacking snack.The satisfaction of bringing a smile through your food to the faces of those you care about is a reward in itself and the realization that you are cooking something healthy is a bonus. Life throws us into unexpected events all the time for me togetherness is that magic wand that prepares us to face life as it comes. Those golden days of yore are no more when people had plenty of time to spare and share with their loved ones. This resulted in an impeccable bonding that was cemented fast with the glue of love caring and sharing and it was truly the real joy of togetherness. Over the passage of time and with the advent of new technologies specially the mobile phone time has become in short supply. It is not that the time has started moving faster as the clock still ticks at the same old rate but its only us the people who are so busy that we do not have the time to bond and connect with all those who matter,our loved ones, all those near and dear and our neighbors. I still remember that when I was a child the members of our household had plenty of time to indulge in sharing of information news and various activity. The evenings were the most lively and interesting part of the day as I got to interact with my grandfather who was a cloth merchant. With the falling of dusk he came home and now it was time for me and him to spend some quality time together. These moments of togetherness when he shared the anecdotes of the day used to be the most prized moments for me that I still cherish to this day. As night fell it was time for my grandmother to tell me stories from the Ramayana. These moments were full of her love and caring for me. In those days we used to live in the walled city of Delhi and the houses were so closely packed that had no space for a real garden. My grandfather was very fond of gardening and seeing my interest he ordered some pots and seeds. One evening when he came home I found a man accompanying him with a donkey in tow. On one side of the donkey was a sack full of soft yellow soil and on the other side were brightly colored earthen pot. He asked me to fill the pots with soft fertile soil which he had brought along with the pots. I still remember the touch of that soft cool soil as filled the pots with the soil that my grandfather had brought. He then took out a packet of seeds from his pocket and showed me how to plant a seed by making a small hole in the mud and putting a few seeds in it and then covering it with mud. The final step was to water the pot. He assigned to me the duty of watering the pots every day and advised me to be careful and not flood the pots with water .These were the first steps for me in learning how to grow and care for the plants. Now me and my grandfather used to tend to our plants everyday and he asked me to maintain a notebook to maintain and record the growth history of the plant. When I saw the green first leaves emerge out of the seeds I got very excited. I ran to my grandfather to give him the news. Apparently it was an ordinary natural process but for me it was no less then shear magic unfolding before my eyes. In the beginning we were the only two tending to the plants but slowly we found all the family members gathering around us when we were tending to the plants. Everyone got involved in this gardening activity and this getting together was just like party time with lots of smiles and jokes being shared. As I grew up I moved out from the walled city now there was plenty of space but no time. I am a person who likes to be always connected with my friends and a good mobile phone is an essential tool that helps me connect with them. I like to party with my friends and go on outings and take selfies and pictures. My requirement was a phone that could do the perfect job of letting me chat with me friends as well as allowing me to click photos wherever and whenever I wanted. Till now the greatest handicap that I face in using the mobile camera to take photos is that the dim light photos do not turn out as good as desired. There is a lot of picture noise and detailing is lost in the night shots. This left me frustrated as I was not able to capture all those priceless moments with my friends in the form that I wanted them to be. Then I chanced upon the LG NEXUS 5X series phone. The features of this phone are like a wish coming true. The phone is packed with features that I adore and find essential out of this long list the top three are as follows. Firstly the processor is a Snapdragon hexa-core 128Ghz 64 bit processor with Adreno 418 GPU that ensures that the phone keeps running fast and smoothly for a very long time to come. I love phones with a fast and powerful processor as the processor and the GPU speeds determine the speed and responsiveness of the phone. A hexa-core would help me multitask and switch between apps with ease. It would also make sure that I have plenty of processing power irrespective of the fact that I may be using an app,taking pictures or playing a game. and Front: 5 MP camera makes it stand apart from the crowd. The 1.55 μm camera on this phone captures more light even in the dimmest conditions so even the low light pictures turn out to be sharp and detailed. This is indeed a feature that I find very attractive. It not only clicks pictures and take videos but provides a beautiful interface to diplay ,search and share my images and videos according to the people,places and things in them. This friends is definitely very big advantage as most people would agree that searching for and locating a video or a picture that we may have clicked and stored on our camera can be a daunting task. I interact with a lot of people in a day and invariably come across people who would just pick up your good looking phone and start browsing its content on the pretext of admiring the design or its features. Just imagine your boss picks up your phone and chances to find a message that is a gossip about himself.How awkward moment for you certainly. However if you are using LG NEXUS 5X you avoid facing such embarrassments and your content is safe from prying eyes. 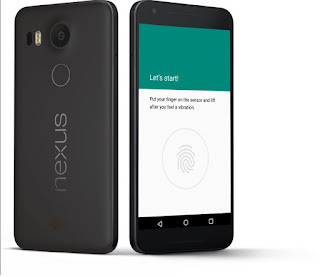 This becomes possible because of the Nexus Imprint security feature. This is a fingerprint sensor for your phone that unlocks the phone only in response to your fingerprint. So when the owner of the phone uses the phone this feature quickly opens the apps or the home screen in response to the owners touch. However the finger print lock prevents others to access your content without your authorization. The fingerprint sensor is so placed that one need not do anything extra or special to use it. Its strategical location makes it possible to do a scan it just by putting our finger on the screen. NEXUS IMPRINT has a feature that takes measurements each time you use the phone so with each use it just gets better and faster. There so many more features in this phone but looking at these feature alone I can decide that this is the phone for me. It not only fuels my passion for recoing life in pictures and videos but makes it easy to search and share my prized possession that is the memories that I create with the media I record and most importantly my content is super secure thanks to the NEXUS IMPRINT feature built with a fingerprint scanner. I am participating in #ChampIsBack activity at BlogAdda.com .